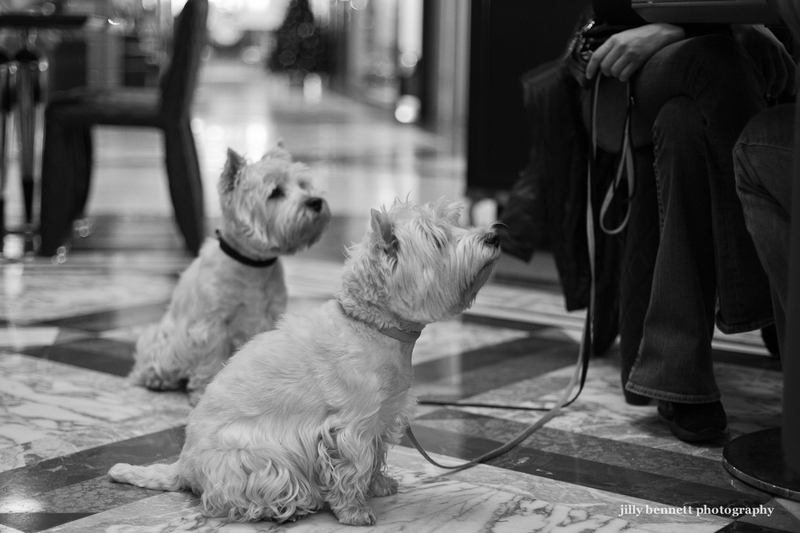 Two Westies hoping for a morsel from their owners who are having a coffee and a croissant in the luxurious Metropole centre in Monte Carlo. They are mother and son. Mother in the foreground is called Twiggy and she's 5 years old. Her son is 2 and he's called Tuky. Well, of course they are mother and son. I can see the resemblance. My brother has a very old Westie who has lost much of the use of his hind legs. He slides himself across the floor, but cannot walk or climb the stairs. He is not in pain, however, and they pick him up and carry him when he needs to go outside, etc. Och aye! Hello to some compatriots over the seas. 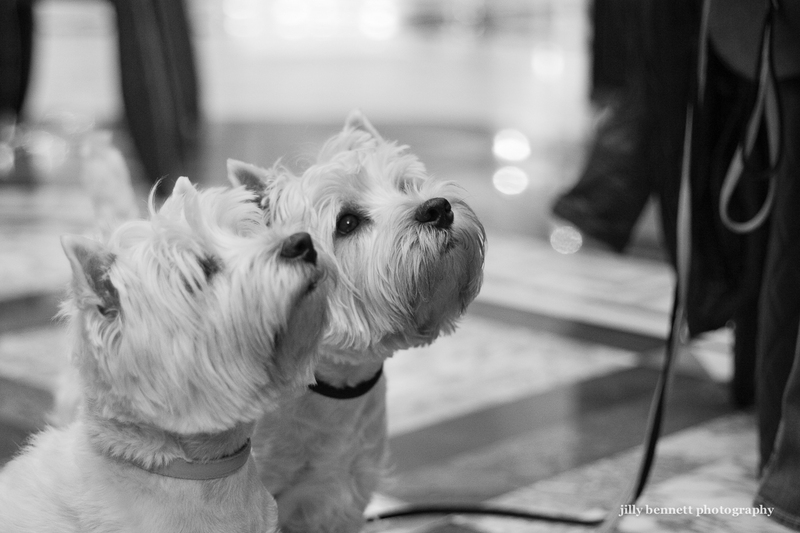 B&W is an excellent choice for these photos. I'd like to live in Monaco too!! I'm assuming they were rewarded with a little taste. Who could resist these two?